One could argue that being a teenager is one of the hardest times in a person’s life. It can be a period of both confusion and self-discovery. But some teens have a better grasp on adolescence than others. They are self-assured and know who they are and are ready to change their lives because of it. According to Entrepreneur’s Bryan Elliott, knowing who you are is one of five signs that you are ready for success. In 2013 Listverse published an article in 2013 listing 10 self-made teen millionaires. They’ve become millionaires doing everything from making jam to creating greeting cards and apps. It’s certain these teens are self-assured and are comfortable with who they are. Isabella Weems is one of these dynamic millionaire teens. If you haven’t heard of her, maybe you’ve seen her jewelry. At age 14, Isabella “Bella” was the founder of the now multi-million dollar jewelry company,Origami Owl. These lockets can be bought in many shapes and sizes and you can even mix and match your chain. You then fill these lockets with as many charms as you want. With hundreds of choices it’s not easy to pick! They make amazing gifts (I should know as I bought them for my bridal party), or they are great just to buy to treat yourself (which I’ve also done)! The success has been so high for Origami Owl that they have started to branch out to other types of jewelry as well. They sell not only other types of necklaces, but also lanyards, earrings, and bracelets. Bella shares her story on her website, telling readers that she was only looking for a way to buy a car. 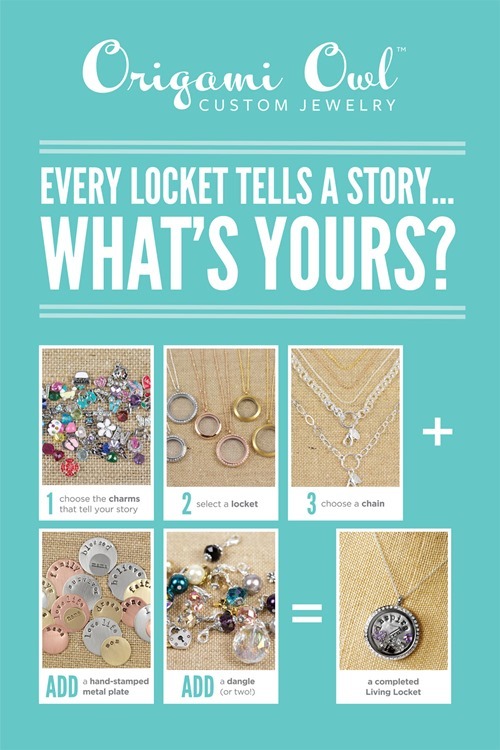 With only a few hundred dollars she created an idea where you could personalize a locket by adding charms inside. While she is now branching out to other items, the locket remains her most popular piece. With the quick growth of the company, these personalized lockets became a hit. They can be ordered online and found at vendor shows. But the most fun way to buy the jewelry is through home jewelry parties. Site visitors can sign up to be a consultant and for $149.99 you can host your own parties and sell the jewelry. Part of the profits go back to Origami Owl while the rest stays with you. It gives anyone a chance to run their own business while utilizing a million-dollar idea. While it was Bella’s initial idea, and her initial $350 that started her on her way, Elliott points out in his article that listening to your support system is also another sign you’re ready for success. Bella was lucky to have so many people supporting her. In an article in Forbes, they share that she gets a lot of help and support from family. Mom, Dad, aunts, and uncles all have jobs in their own specialities helping Bella. As a group they all take part in making her business a success. And what a success it is! In the same interview Forbes reports that as of 2013 Origami Owl was set to make around $250 million! Isabella has all the makings for continued success. She works hard at her company and pushes the envelope of her success. She implements new ideas for her line of jewelry that make visiting her site always fun. It’s exciting to see what new pieces, charms, and lockets Origami Owl creates. This teen is a great inspiration to everyone. Bella Weems is proof that with an idea, determination, support, and just a little bit of money- anyone can really change the world! Way to go Bella!